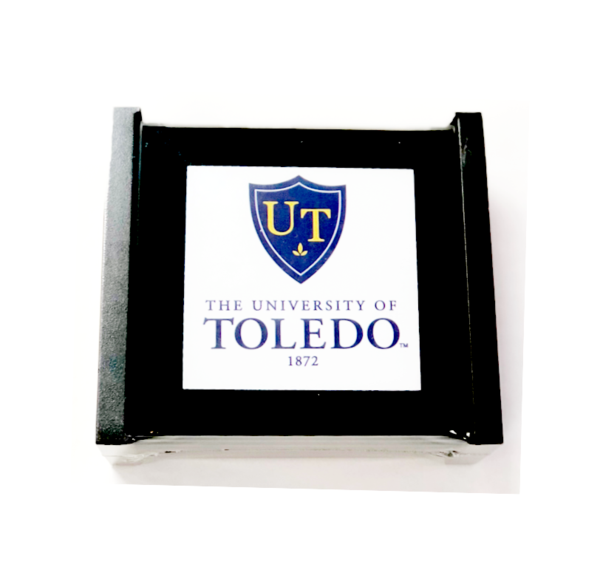 This classic 4-pack glass coaster set with holder is the perfect gift for any Toledo Rocket! Featuring the Toledo Academic Shield framed inside black glass. This set makes graduation gifts a breeze!. Don't forget to check out our Rockets Mug & Coaster Set as well!